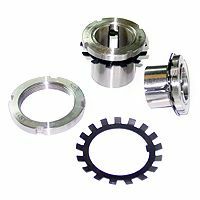 Adapter (Withdrawal) Sleeves are used to secure having a tapered bore on cylindrical shaft seatings. 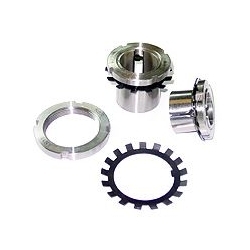 That facilitate bearing mounting and dismounting and often simplify Bearing arrangement design. We supply the adapter sleeves as per ISO H3/1-1979, both Metric and Inch.